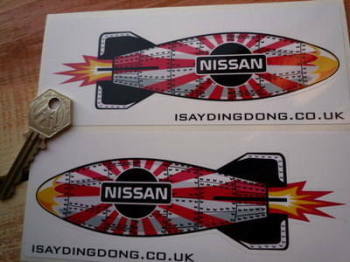 Nissan - I Say Ding Dong Shop - Buy Stickers, Decals & Unique Automobilia. Datsun 240Z 260Z 280Z Self Adhesive Car Badge. 225mm. 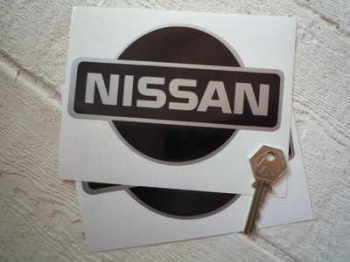 Fairlady Z Datsun Nissan Self Adhesive Car Badge. 6" or 7"
Made in Japan Text Stickers. Various Colours. 55mm Pair. Made in Japan. Japanese Text & Hinomaru Flag on Clear Stickers. 55mm Pair. 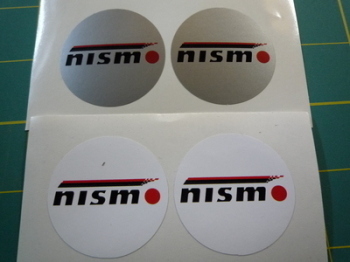 Nismo Nissan Motorsports International Self Adhesive Car Badge. 3.5". 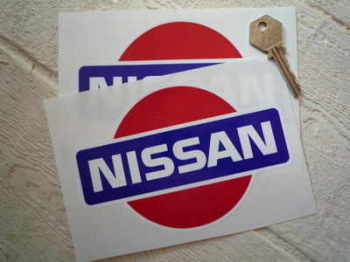 Nissan Coloured Logo Sticker. 12". 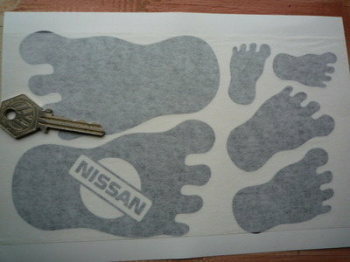 Nissan Cut Vinyl Footprint Stickers. Set of 6. 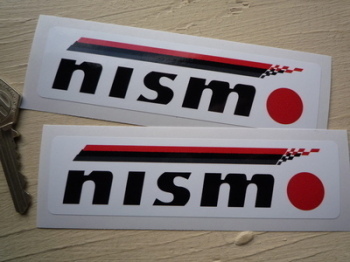 Nissan Japan Hinomaru Style Stickers. 2" Pair. Nissan Japanese Flag Style Helmet Visor Sunstrip Sticker. 12". Nissan Logo Wheel Centre Stickers. Set of 4. 50mm. 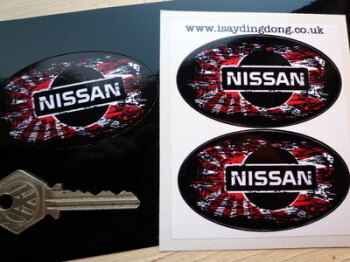 Nissan Number Plate Dealer Logo Cover Stickers. 5.5" Pair. 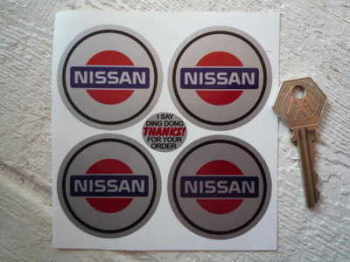 Nissan Racing Japanese & Chequered Flags & Scroll Sticker. 4". 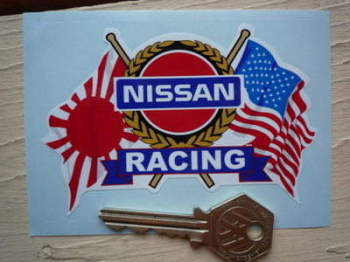 Nissan Racing USA & Japanese Flags & Scroll Sticker. 4". Nissan Shaped Torpedo Stickers. 6" Pair. Pininfarina Logo Window Sticker. 3.5". Zagato Milano Style Laser Cut Self Adhesive Body Badge. 1.5". Zagato Milano White & Clear Self Adhesive Window Stickers. 2" Pair.